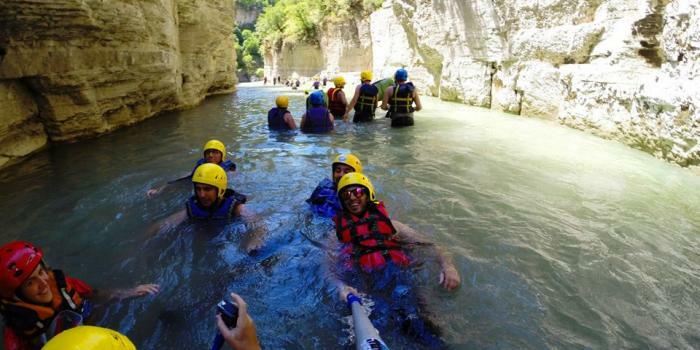 Home » Camping » Uncategorized » River Rafting in Albania. 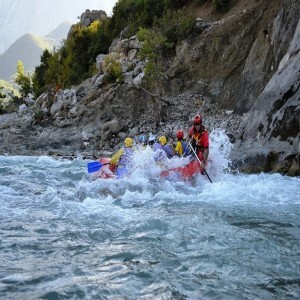 If you are the Outdoor type and like a little of adventure and excitement maybe river rafting might just be the right thing to do.The Canyon off Osum in Albania offers just that There are several river rafting organized guides that offer you the challenge of seeing one of the most magnificent Nature exploring filled with adrenaline rush and team work at the same time. 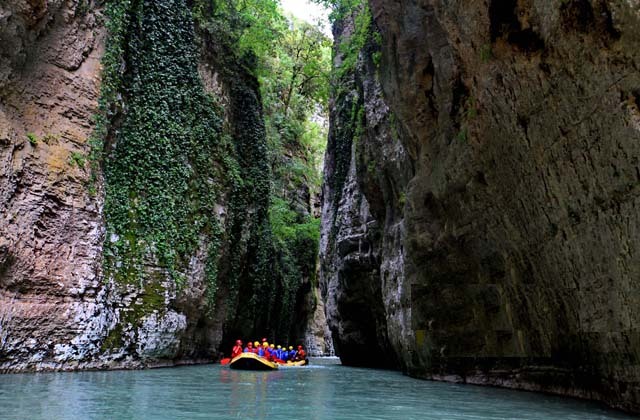 The Canyon of Osumi River is one of the most beautiful places in Albania, these canyon is featured with several waterfalls that usually the guides stop by and let you wonder around before departing to go on with the rest of the rafting trip. Check this out and you will not be disappointed at all.